The wreckage of a light plane that went missing during a flight out of Gillespie Field was found Thursday in rough terrain in eastern San Diego County. 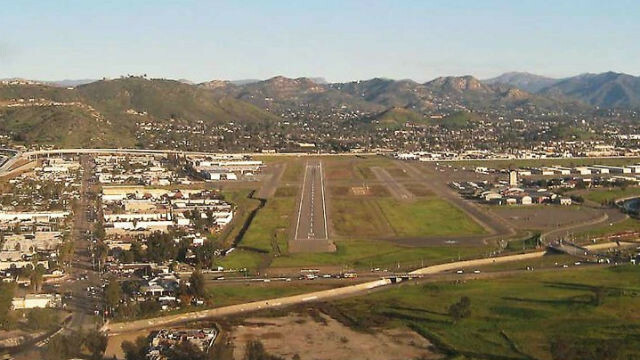 Search crews discovered the downed single-engine Champion CH7B about 17 miles northeast of the El Cajon airport Thursday morning, according to the Federal Aviation Administration. The fate of the two people who had been aboard the aircraft when it left the East County airfield Wednesday evening was not immediately clear. The National Transportation Safety Board and the FAA will investigate the crash, said Ian Gregor, a spokesman for the latter agency.